Vic Gammon is a performer of English traditional music (mainly on the voice, anglo concertina, and melodeon) a writer, researcher and member of the Editorial Board of the Folk Music Journal. He has also composed music for a number of stage and radio plays. He has performed in various groups including The Etchingham Steam Band with Shirley Collins in the 1970s and currently with Dearman, Gammon and Harrison whose CD 'Black Crow/White Crow' was issued by the English Folk Dance and Song Society. His anthology album 'The Tale of Ale' (Free Reed Records) is considered a classic and has been reissued a number of times since it was first released in 1977. Vic recently retired from being Director of courses in Folk and Traditional Music at Newcastle University, but remains a Guest Member of Staff. A book of Vic�s essays entitled Desire, Drink and Death in English Folk and Vernacular Song, was published by Ashgate in 2008 and he has many other research publications. Vic Gammon has been described as 'one of the most eminent of today's writers on folk music' and someone who is 'without question is the expert in this field'. Vic was given the Gold Badge of the English Folk Dance and Song Society which is 'awarded for unique or outstanding contributions to folk music' at a concert at the end of October 2011. 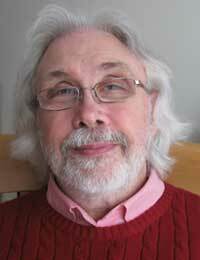 Vic Gammon's academic website can be found here.